Thank you for the link to your outstanding website. I am going to forward it to Sander Scott, Chief of Traverse City Schools, who works with our Principals to integrate educational resources into our science curriculum. It is extremely generous of you to offer this work to us; I cannot imagine how many hours you have put into its creation. Additionally, the many years you have spent in study will undoubtedly benefit our teachers and students. Again, thank you so much for the generous resources. This opportunity has been taken to send our sincere appreciation for your wonderful website which is currently part of the CDC’s core curriculum. Curriculum is one of the most important components of education. Curriculum development in Hong Kong has entered a phase of ongoing renewal which allows us to make quick responses to rapid local, regional and global changes. It is but a necessary progression to ensure that our school curriculum advances with time to sustain Hong Kong’s competitiveness. Once again Dr. Mann, my sincere appreciation on behalf of the Hong Kong CDC and its students & faculty. Thank you for the opportunity for our staff and students to explore the website Dr. Mann. I have only begun just to scratch the surface of this unique website with my exploration and will most assuredly be sharing with our staff members. It is absolutely an outstanding educational tool that our entire district will take advantage of and the opportunity for students to continue to contact you is a rich benefit. Thank you so much for your kind generosity. I am most certain that our students and teachers will benefit from your research and outstanding work in the field of oceanic marine biology. The links and information included within are indeed priceless. I’ll pass this outstanding site onto our administrative team. You will certainly touch the lives of our district’s 3,800+ students. Every year on December 22nd, I remember Mike Bigg who was my best friend for so many years and 2014 would have marked his 75th birthday. I just read your wonderful memorial to him and it brought back so many memories. We were the same age and had traveled the world together, graduated from UBC together, stood up for each other at our weddings and so much more. Even though I moved to the east coast, we kept in touch over the years. I was totally shocked when he died, even though I knew about his cancer. I can honestly say that I have “lived” every day with greater meaning since his passing and often think of him. Thank you for this opportunity to express my thoughts about Mike and the creation of this tribute to his memory. I recently had your website forwarded to me from our library services. I write curriculum that our science teachers use (I support about 200 schools). Your website certainly has a wealth of information on it for students. I have a maritime/marine background (attended Texas A&M at Galveston), so it’s wonderful to see people like yourself, trying to get these resources into education. Thank you so much for sharing this information with the world, it is truly what science is about. By way of this email, I am referring your site to our IT and Science Departments for review and feedback to you. I went on to the site and it’s very impressive. Our district’s students will truly gain a tremendous amount of knowledge and benefit from your expertise. Thank you so much for sharing this important work with us. The website looks absolutely great. I’m having Sonna Pohlson, who said she really misses your annual presentations to the 6th graders, share this information with the rest of our teachers district-wide. A special thanks for allowing the students to keep in contact with you is extremely appreciated. Thank you so much for sharing this with me Dr. Mann. I will pass along this information to my teachers and curriculum people. It looks like you had a wonderful career and we will benefit from your years of experience. Once again Dr. Mann, our sincere appreciation for sharing this unique site with our district. We will truly put it to good use. This will be a valuable resource for us. I will get the word out to our district educators so they can start reviewing this outstanding site this summer and get this wealth of information into the district’s upcoming 2014-15 science curriculum. Thank you for offering this truly wonderful resource. I have passed the information along to our Curriculum Director and she will share it with our teachers district-wide. Our students will truly benefit from the tremendous amount of information this site provides. Take care, thank you once again and enjoy your retirement! Thank you for sharing this truly outstanding website! I will forward to our assistant superintendents to share with principals and science teachers. Our students will truly benefit from this outstanding science resource tool! Don’t be surprised to hear from several of our students and faculty alike with future questions. Thank you for your kindness. I will share this information with our principals and I know our students will be completely inspired with the site. I remember looking in on your program when you presented at McKinley Elementary and was truly impressed. The excitement generated and your unique interaction with the students was just extraordinary. This website will without a doubt, continue your program’s rich legacy and that of your dedication & expertise. I want to thank you for the opportunity to share this website with our staff and students. I have already forwarded your e-mail with the site’s URL to all of our K-12 Staff and I am sure they will appreciate it as I do and our students will undoubtedly be very excited. Thank you once again. You are a very special person! Thank you so very much for submitting your outstanding science website for use within our district. The reviews from our educators has been nothing short of one of the finest sites within the educational community they have seen. Your site will most assuredly become part of our district’s science curriculum next school year. Once again Dr. Mann, best wishes and thank you on behalf of the Salt Lake City district. Thank you and I will forward this information to our Superintendent Dr. Ehren Jarrett. I’m sure this took many, many hours of hard work and preparation and now we in education get to benefit. Thank you for sharing this opportunity. I have our curriculum leadership and our community engagement team lead as well and this truly outstanding site, will be a tremendous learning tool for our district. You will never know the true benefit that you have bestowed upon our students but believe me it will be remembered. Thank you for the access to your information. I have shared this awesome website with our principals & our district’s teachers. The overwhelming response is, it will ultimately be the students of our district who will truly benefit from your dedication & knowledge. Thank you once again! Thank you for sharing the information! We are extremely grateful to have someone with your credentials & experience benefiting today’s students. Once again, thank you so much! This is indeed a truly wonderful gesture on your part and you should take great pride with your career and legacy. On behalf of Dr. Dallas Dance, I would like to thank you for your generous gift of the “Ocean Treasures” website. This is a wonderful resource for students and teachers and will be used to enhance science instruction in Baltimore County Public Schools. Your dedication to education will provide our students with an opportunity to develop a deep and real understanding of the sciences associated with the oceans. We appreciate your enthusiasm and devotion to the marine biological sciences and we look forward to using the many website assets with our students. 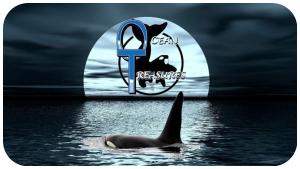 Our Board President Dr. Nakia Hall, forwarded me your email regarding the Oceans Treasures Memorial Library. This is a wonderful gift and truly inspiring website for our students to use and gain an unbelievable amount of information. I will take some time to review the website and then make connections with our K-12 teachers but believe me, it will be done. Thank you on behalf of our district’s student population. Thank you in advance Dr. Mann for your wonderful gift to the Wooster educational community and especially to our students. On their behalf, many thanks and appreciation are extended! This is truly a wonderful opportunity bestowed upon our district’s students. Thank you very much, Dr. Mann – I have forwarded your email to our Superintendent Dr. Erin Prince. I am positive, that she & the entire board will be submitting your outstanding website to the district’s schools and that our students will be in for a treat & the excitement of learning marine biology from your gift. Have a wonderful day and once again, our sincere appreciation for this awesome opportunity! Your website was forwarded to me by Dr. Larry Nichols, the GISD Superintendent. I have just spent the last 30 minutes touring all of the wonderful learning tools that you have made available to educators. I cannot thank you enough for your generosity. It is evident from your work that our ocean life is a personal passion. As an educator, I sincerely appreciate that you are willing to share your research and life’s work with our children. I love the photography, some of the close–ups were not only amazing but so beautiful! The pictures provide a view many of our children may never see in person. The site is easy to navigate and I know our teachers and students will find this a useful resource. 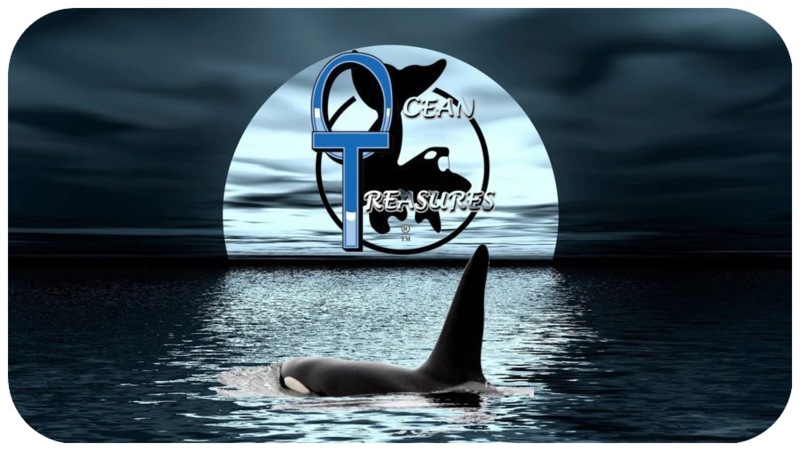 It is a real shame that we did not know of your educational program “Ocean Treasures” during its lengthy run. You most assuredly would have been invited to present the program within the Galveston District. I will be asking our district Communications Director to share your link with all of our K-12 staff. Thank you once again for your generosity. Thank you so very much for submitting your awesome website for use by our district. I will be forwarding this wealth of information onto our District Superintendent Dr. Karen Gaborik. Do not be surprised if your site becomes part of the district’s science curriculum for the upcoming school year. Once again, a big Alaskan thank you from our entire education community. Thank you for this wonderful gift. I will share this outstanding web site with our Principals and encourage them to share this resource with our teachers & their students throughout the Dublin school district. Your program received rave reviews when you presented it years ago and now you honor our district with this unique & awesome website. Thank you for your email to Chancellor Carmen Fariña regarding your Ocean Treasures Memorial Library website. We appreciate you sharing your thoughts with us. Please be advised that I have taken the liberty of forwarding your email to staff members within the Division of Teaching & Learning to bring your awesome website to their attention and that of the students within New York City. Improving public education in New York City is the responsibility of our entire community. Together, we all have a part to play in improving student achievement and providing every student in New York City with an excellent education. I thank you for helping in that effort and for your continued support of New York City’s public school students, teachers and administrators. Thank you once again for writing to Chancellor Fariña and sharing your vast expertise and valuable website. I wish you success in your future endeavors. The School Board Office is in receipt of your e-mail and has been forwarded it to our Board President Erin Cranor, Superintendent Dr. Pat Skorkowsky and our Executive Director of Curriculum & Instruction Dr. Marty Gardner. Thank you so much for submitting your outstanding website to the Clark County School District. This outstanding site will truly become a very valuable resource & research tool for our students and educators alike. Thank you for the outstanding science resource. Upon reviewing which I have only begun with this extensive site, the students & faculty members alike will truly be awed. This gift bestowed upon our district is greatly appreciated and without a doubt, will be used as an extraordinary educational tool for years to come. Once again, please accept my sincere appreciation on behalf of the Albuquerque community for this wonderful opportunity.